Borderlinx | Buy Scott and ship worldwide with Borderlinx. Cheap rates guaranteed. For over half a century, Scott USA has been bringing customers innovation in the world of sports gear and equipment. Built upon the original inspiration which brought Ed Scott to invent today's modern skiing poles, each product created by Scott USA is crafted with the goals of achieving that same ingenuity and functionality for its users. Scott USA products include gear for runners, bikers, triathletes, motor sports competitors, and winter sport enthusiasts. Whether you're pro or amateur, just getting into the game or honing your skills, Scott USA can help take you to the next level of your performance. Scott USA sports equipment is tailored for men and women across a myriad of athletic activities, and each expertly-crafted item guarantees durability and high-performance. From running gear such as shoes or apparel, to biking equipment like parts, helmets, and footwear, to winter sports boots and skis, to motor sports gear and more to name just a few, Scott USA has you covered. And in order to get you on the road, in the water, or on the slopes faster, Scott USA equipment and gear is priced competitively so that you can achieve more than you ever dreamed. 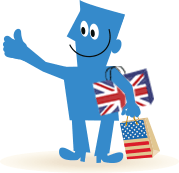 With Borderlinx, customers internationally can now buy Scott in the USA! Using our Shipping cost calculator, Borderlinx determines cheap shipping, tax & duties upfront and will ship your order to your home country. A number of additional services are available through Borderlinx to make international ordering from Scott USA hassle-free, including concierge, free repacking, and consolidation services.